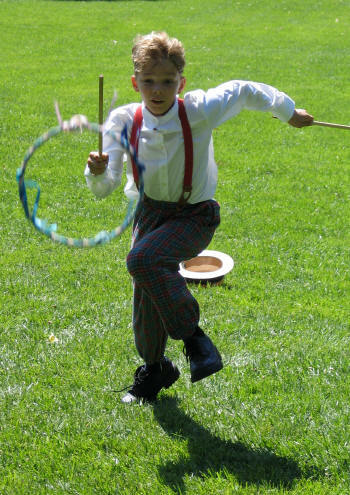 The Ravenswood Ice Cream Social is held the second Sunday in August. 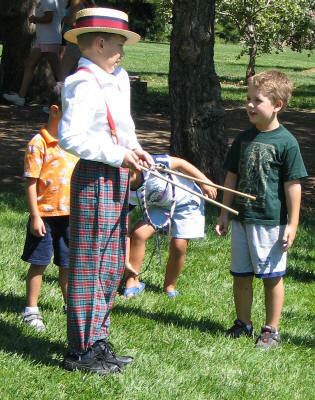 These photos are from August 14, 2005. 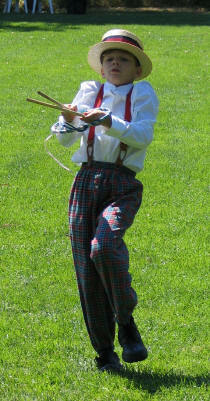 Gabriel Underwood, in Victorian costume, demonstrates a game called The Game of Graces. One gets away from him, but he makes an amazing recovery. Actually, the photo on the right was the next throw, even though it was taken just 12 seconds later. Gabriel is showing Caleb how to play. Gabriel did a great job of getting a lot of kids, and some adults, to try the games. A little work with the hoops. 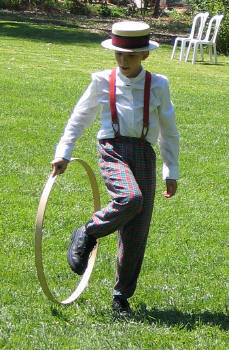 The hoops are replicas of hoops that children would roll along the ground, keeping it going by running alone side and hitting it with a stick. On this day the more common game was to throw the hoop in front of you with backspin and have it come back to you, as is being done above. 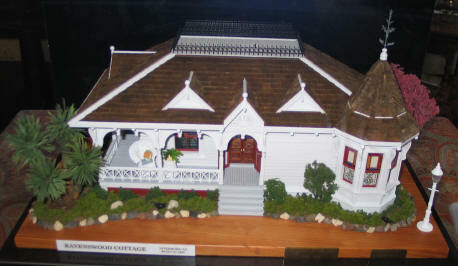 A scale model of the Ravenswood Cottage.